3rd Platoon, Charlie Company, 3rd Reconnaissance Battalion, 1964. 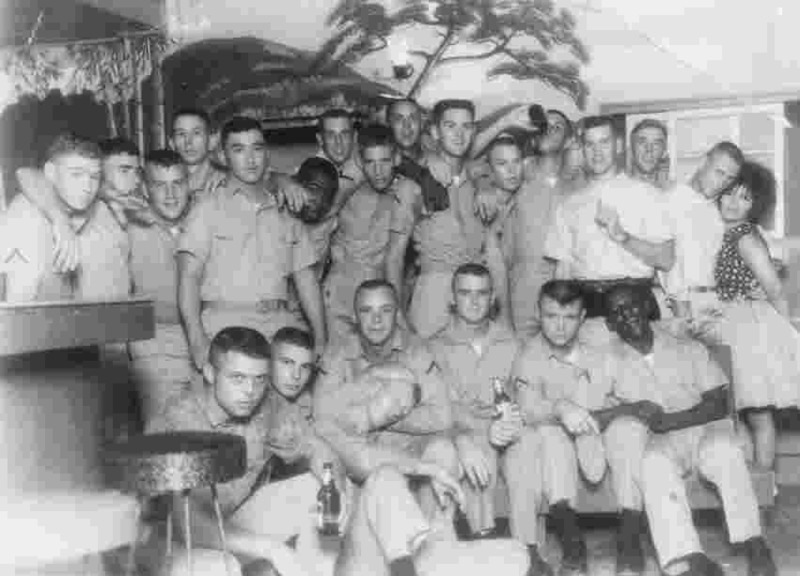 The 3rd Platoon of Charlie Company was detached from the company in June of 1964 and didn't reunite with them until Charlie Company and all three platoons rejoined and mounted out for Subic Bay for Raider Training. The 1st and 2nd Platoons of Charlie Company left Camp Fuji around August 8, 1964, in the alert ordered caused by the Bay of Tonkin Incident. This movement, in fact, involved the entire 3rd Recon Battalion, except for Bravo Company which was then a part of the 4th Marine Brigade in Hawaii. In less than 24 hours the entire battalion left Camp Fuji by truck to Iwo Kuni, and from there went by C-130s to Futenma MCAS, Okinawa. There Charlie Company trucked to Camp Schwab. Within a few days of arriving at Camp Schwab, the Th ird Platoon was detached and went to sea as part of the 9th MEB. The Third Platoon was aboard the USS Epping Forrest and the USS Cook (APD). After running some beach surveys at Cam Ranh Bay, Republic of Vietnam, in September, 1964, Charlie Company headed for Subic Bay for a port call. While at Subic, the Third Platoon pulled liberty together and had this group picture taken. Front, left to right: Cpl H. W. Dallas, Pfc Steve Teeter, Pvt M. F. Jones (sleeping), Pfc Daniel "Rick" Shaw, LCpl Michael H. Humphrey, (unknown Marine), Pfc William Hunter, Jr. Please take a close look at the unknown Marines in the picture to see if you know them. If you recognize them, please contact Jim Jones so that we can put their names to the picture.